ATLANTA, Ga. – The North American Council for Freight Efficiency (NACFE) is looking for 10 regional fleets to showcase the real-world fuel efficiency that can be realized when running within 150-500 km of a home base. The council’s Run on Less Regional demonstration will kick off from various Canadian and U.S. locations on Oct. 8, and conclude Oct. 27 at the North American Commercial Vehicle (NACV) Show. It’s expected to include sleepers and day cabs, returning home several times per week. This is the follow-up to the Run on Less fuel economy challenge that coincided with the first North American Commercial Vehicle Show. The equipment will all be commercially available. Electric tractors are excluded, but natural gas equipment is eligible. Factors like e-commerce and drivers wanting to be home more often could be increasing the focus on regional hauls, he said, although it’s still unknown how such work might be defined. 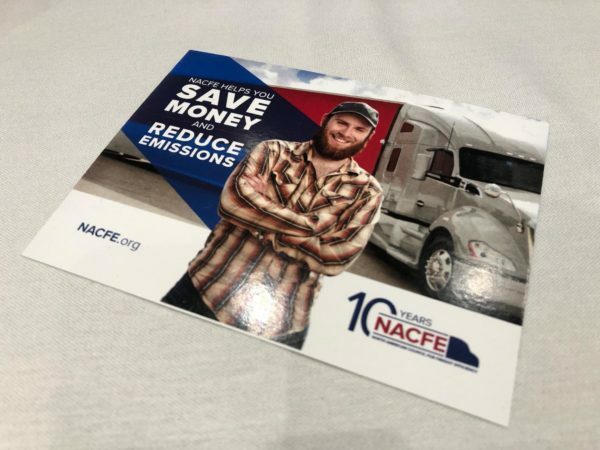 “We are looking for fleets operating a wide variety of regional haul applications and duty cycles, but we are also committed to high mpg,” adds Dave Schaller, NACFE’s industry engagement manager. Applications and further information are available through www.runonless.com. Sponsors include Shell, PepsiCo and Geotab.